During my Miami adventures last week, we happened to stop in Little Havana right on Calle Ocho for some authentic homemade Cuban ice cream. Azucar, the scene of this delicious crime is a lovely little shop, which feels as if it's been a part of the community for many years, but in truth is actually quite new, opening its doors in 2011. Dan, my mother-in-law Vicki and I popped in after our Wynwood adventures last week for a sweet adieu. 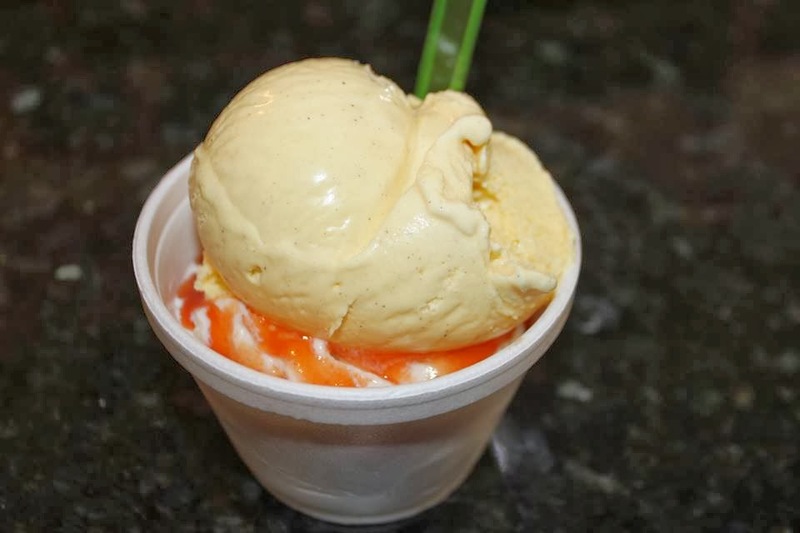 Located in the heart of Little Havana, Azucar is hard to miss, boasting a fun, colorful exterior with heaping scoops of ice cream. It almost looks like some kind of Gaudi structure, being that it's larger than life and a little cheeky. 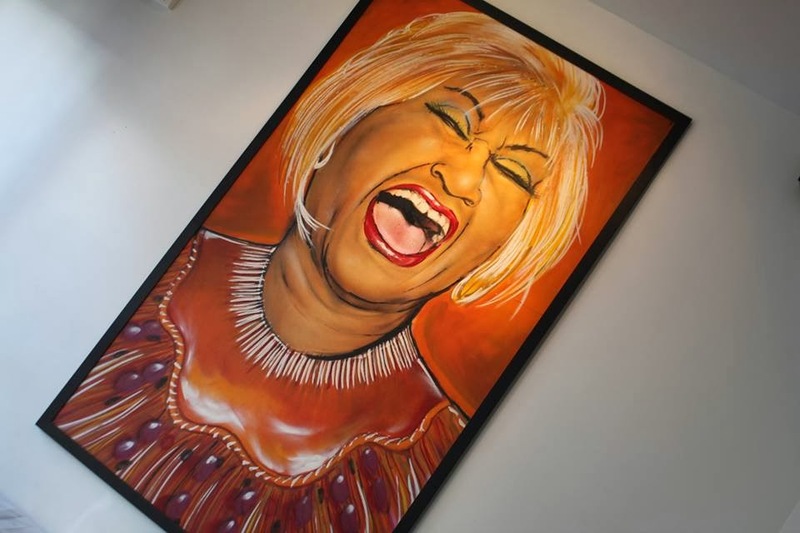 The interior vibe continues the whimsy theme, as its adorned with colorful artwork and photographs that embody rich Cuban culture as well as the simple and joyful act of eating delicious ice cream. 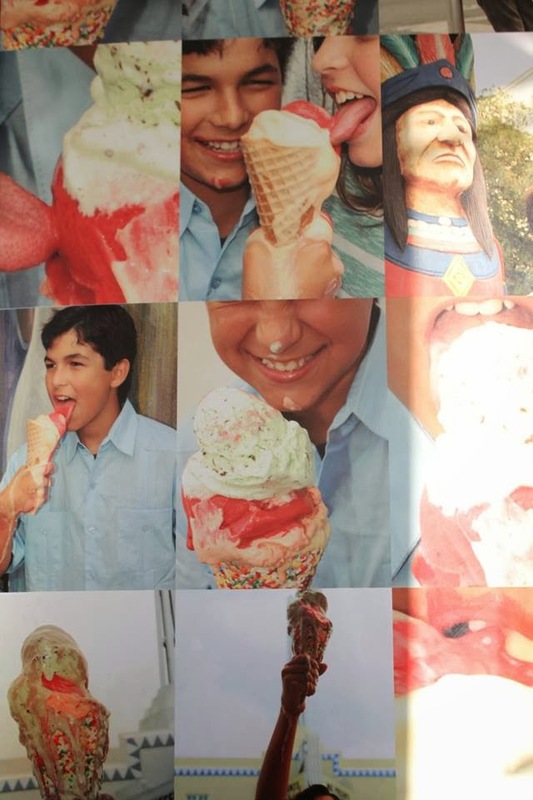 I especially loved the collage of messy ice cream photographs you see above. While the shop is small, there's enough seating to hang around and enjoy your ice cream, which is what we did when we made ourselves comfortable on the rounded bench at the front of the shop. 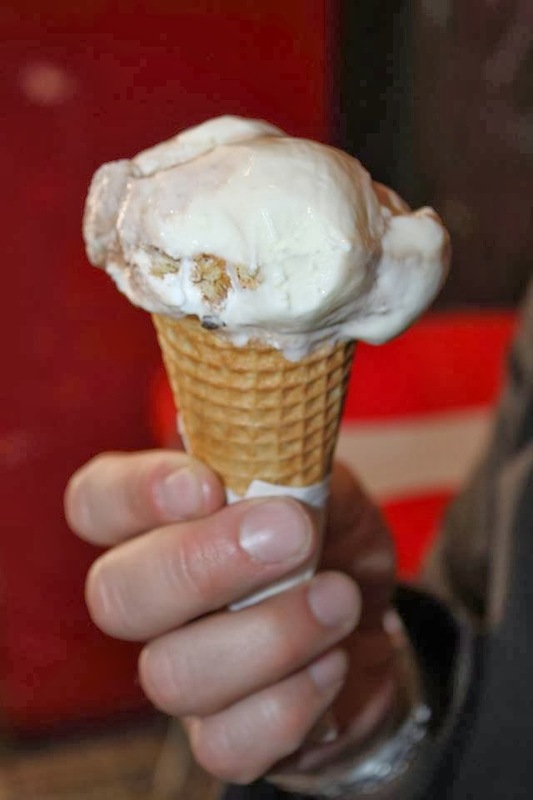 With over 40 different flavors to choose from, ordering an ice cream is no easy feat but it sure is fun! I first did a once over at the display counter and asked to try a few intriguing flavors. After a few bites of deliciousness, I chose their signature Abuela Maria ice cream as well as the Mantecado. I wasn't disappointed in the least. Abuela Maria - Azucar's signature flavor that pays homage to the owner's dear abuela was my absolute favorite. Incorporating sweet chunks of guava, tangy cream cheese ice cream and crumbly bits of Cuban biscuits (galletas), it was like a fun celebration in your mouth. I loved the sweet guava sauce that was drizzled on top that gave it Latin panache. Mantecado - Despite its exotic name, the Mantecado ice cream was pretty basic and clean, but that's exactly what I loved about it. Made of simple vanilla ice cream with a dash of nutmeg, it defied the meaning of "ordinary vanilla." Apple Pie - Although I usually love fruit based ice cream, I wasn't impressed with this one and found it to be too sweet. I'd suggest going with their Cuban flavors instead, as they're a lot more interesting and refined. We enjoyed great service and appreciated the patient staff who was happy to explain all the different flavors to us and even offered us a few free samples. I was reassured when I found out that I chose some of the house favorites, and trusted the expertise of our server. Costs are moderate at about $4.50 per scoop but are worth every penny, given its uniqueness and high quality.